Upload the document and get a price quotation. *Depend on its size it might take a while to upload your file. Please don't cancel the uploading process. May it be contracts, official documents or general terms and conditions, we translate any legal text. Our team consists of experts. They have legal expertise and are exclusively native speakers. Confidentiality is a top priority. Your data are safe with us. Legal texts are very complex. The terminology is specific and often the text leaves much room for interpretation. If a text is written in a foreign language, it is often not easy even for experts to get the correct meaning. A good translation will make it easier for you. We can help with this. We translate your legal text into the language of your choice. Especially in the legal sector it is extremely important to work accurately. Even minor deviations can change the meaning of a text, which can have major consequences. We work very conscientiously and ensure an exact translation. In order to translate technical terms accurately, the legal context has to be comprehended. Legal expertise is essential for this. Our team for the legal sector consists entirely of native speakers with a legal background. Colist holds 15 years of experience in translating all kinds of text, producing high-quality work that is regularly checked. Our pricing takes account of differences in language and typeface. Many translation agencies calculate their prices according to lines or A4 pages. The latter can be expensive, as the layout often determines the number of pages. This is how we find the best price for you. 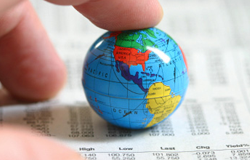 If you need your translation quick, we offer an express service at a surcharge of 10 percent. Your layout will be observed for you to avoid extra work and costs. Make use of Colist’s translation service. We look forward to hearing from you and to your text.